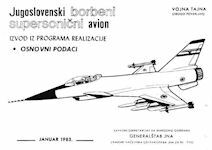 The Novi Avion ("New Aircraft" in Serbo-Croatian) was an ambitious Yugoslava project for a domestic-design supersonic 4th Generation multi-role aircraft. The 1980s and 1990s saw numerous designs emerged for indigenous combat aircraft. Taiwan built the Ching Kuo Indigenous Defense Fighter (IDF) and Japan built the F-2 (also known as the FS-X, or SX-3), both of which inherited design elements of the American F-16. India’s Light Combat Aircraft (LCA) underwent a very protracted development process, with induction anticipated after 2013. 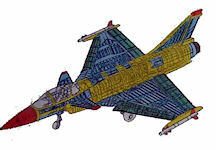 The Novi Avion was one of several failed indigenous fighter proposals and concepts. The most advanced of these was Israel’s Lavi, canceled [under US pressure] in 1987 after two flying prototypes had been built. Other concepts included the South Africa’s Cava, and Romania’s IAR 95. 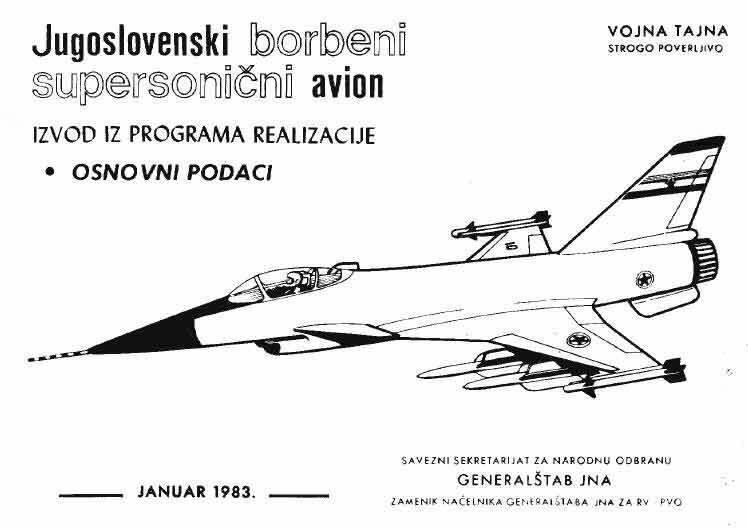 The Slovenian military journal “Nasa Obramba” (Our Defense) of January 1988 reported that the first mentioning of the term "Novi Avion" was in a speech made in 1986 by Yugoslav Air Force Chief of Staff General Antun Tus (who later became Joint Chief of Staff in the Croatian armed forces). But an artist's concept for the aircraft is dated January 1983, so possibly the 1986 speech was the first public mention of a program that had been under consideration for several years. The Novi Avion [New Aircraft] had two major design iterations. The initial design featuered a chin inlet, similar to the Israeli Lavi, while the later design looked more like a single engine Rafale, no doubt due to the contributions of Dassault, which had come on board as technical consultant. 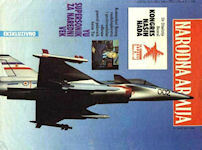 There was a high degree of similarity between Yugoslavia's Novi Avion, and the Indian Light Combat Aircraf [LCA]. One explanation may be that France's Dassault has been intimately involved in both MiG-21 replacement programs The Novi Avion would share the Rafale a delta-canard plan-form and have similar intake arrangements, while fuselage strakes extending aft from the wing trailing edge would compensate for the design change from twin to a single engine. The major changes appear to result from the smaller size of the Novi Avion and tail section. 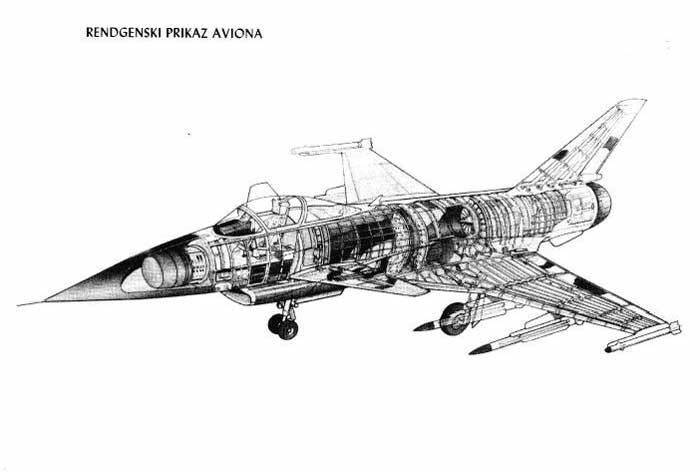 The Novi Avion was intended to replace the Yugoslava Air Force's fleet of around 120 MiG-21 Fishbeds. The aircraft would fulfil air-defence, ground-attack and reconnaissance roles, and was designed for high manoeuvrability with high penetration speeds. It is planned to use composites for a large portion of the aircraft's fuselage. The electronic counter- measures (ECM) package for the Novi Avion was to be developed in Yugoslavia and the aircraft would have nav/attack systems and multi-purpose radar. Engine proposals for General Electric's F404, Pratt & Whitney's PW1120, Snecma's M88 [which powered the Rafale] and Turbo-Union's RB.199 were among those under study. 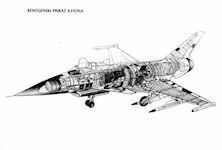 Yugoslavia had worked with Western firms for some time, using Rolls-Royce's Viper turbojet in its Jastreb and Galeb trainers and the Orao fighter-bomber developed with Romania. Maximum speed at sea-level was set to be no less than Mach 1.1, while top speed at 36,000 feet (11,000 meters) would be around Mach 1.8. By 1990 The Jugoslava Government had decided in principle to proceed with production of the single-seat, single-engine multirole fighter, but was seeking outside partners to share the development cost. Western firms wanting to work with Yugoslavia on Novi Avion had been warned by their governments to exercise care lest technology end up in the wrong hands. Novi Avion would incorporate a French multimode radar and is expected to carry two Matra R550 Magic and two Super 530 air-to- air missiles. Much of the technology required is already in hand, including work under way on cockpit design, voice control and supersonic aerodynamics. The aircraft was a priority program for the Yugoslava People's Army and was partly funded by the Government from research and development and modernisation funds and partly by industry. In the near term, Yugoslava was hopeful of Eastern Bloc orders for its Super Galeb light-attack trainer, even possibly for licence-built Aerospatiale Gazelle helicopters. In the long term, however, the country appeared to regard Eastern Europe as a potential market place for its Novi Avion as an alternative to the Soviet fighters then available. Initially, Novi Avion was to have a first flight sometime between 1991 and 1993, and enter service around 1995. As of 1989 the Novi Avion was planned for service from the mid-1990s. By 1990 the Novi Avion was scheduled to enter service in the late 1990s. 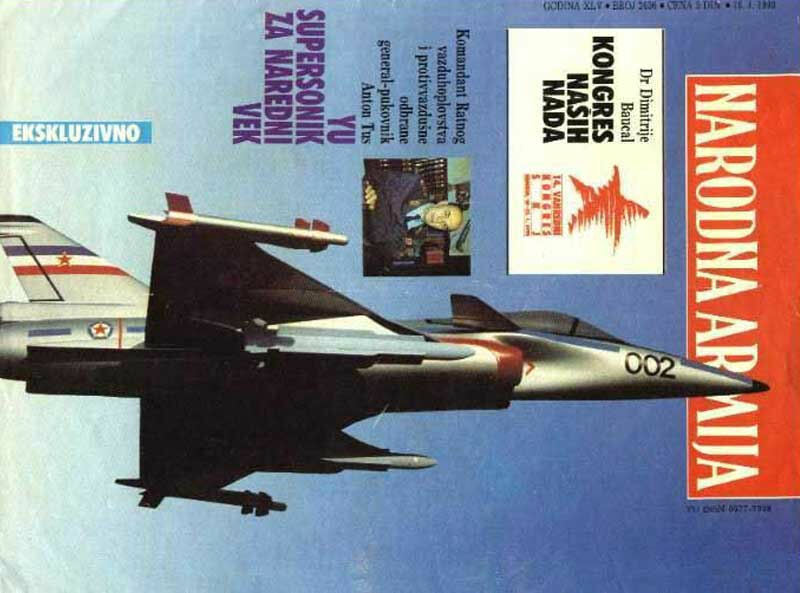 As of 1991 a first flight was anticipated [probably with undue optimism] in 1992, while entry into Yugoslavian Air Force service was scheduled for after the turn of the century. Yugoslavia could have acquired as many as 150-200 [one report claims as many as 250] of these aircraft. And there were projections that any where from 150 to 700 [one source reported between 400 and 600] further "Novi Avion" could have eventually been sold on the world market. But then Yugoslavia fell apart, and the Novi Avion project was abandoned. 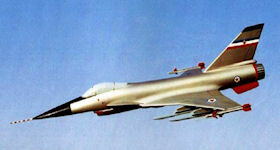 Novi Avion multi-role fighter project was halted by lack of funds in 1991, when initial design work was almost complete. It is usually reported that the design was approximately one year from completion at the time of cancellation, and with design of some production facilities and prototypes of some parts such as the cabin having already been built. A photograph of the cockpit discloses little more than a low fidelity instrucment panel and controls, suggesting that a 1992 first flight was highly improbable.